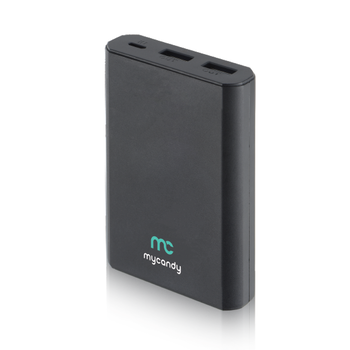 The mycandy 10050 mAh universal power bank is a palm-sized, dual-USB power bank which allows you to charge two devices simultaneously and quickly. 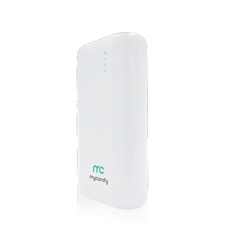 Fully-charged, it provides up to 4 full charges for your smartphone and with one Qualcomm QC3.0 ‘Quickcharge™’ port, you can charge your phone from 0-50 % in under 30 minutes. 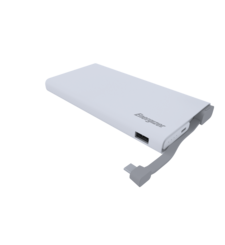 The mycandy 10050 mAh power bank features a genuine LG battery inside, comes in four stylish colours and has a textured finish to provide a firm, anti-slip grip. 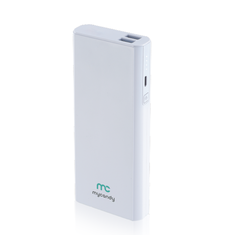 Universal Power Bank | Model: PB10050QC Fast, secure, compact The mycandy 10050 mAh universal power bank is a palm-sized, dual-USB power bank which allows you to charge two devices simultaneously and quickly. 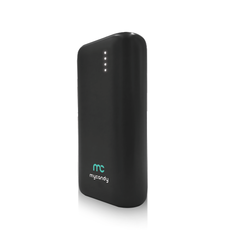 Fully-charged, it provides up to 4 full charges for your smartphone and with one Qualcomm QC3.0 ‘Quickcharge™’ port, you can charge your phone from 0-50 % in under 30 minutes. 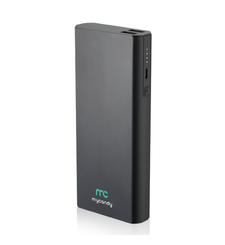 The mycandy 10050 mAh power bank features a genuine LG battery inside, comes in four stylish colours and has a textured finish to provide a firm, anti-slip grip.